Jean Paul Carlhian, “Enid Haupt Garden,” Histories of the National Mall, accessed April 25, 2019, http://mallhistory.org/items/show/431. The Enid Haupt Garden was created in the 1980s as part of a redesign of the area around the Smithsonian Castle. 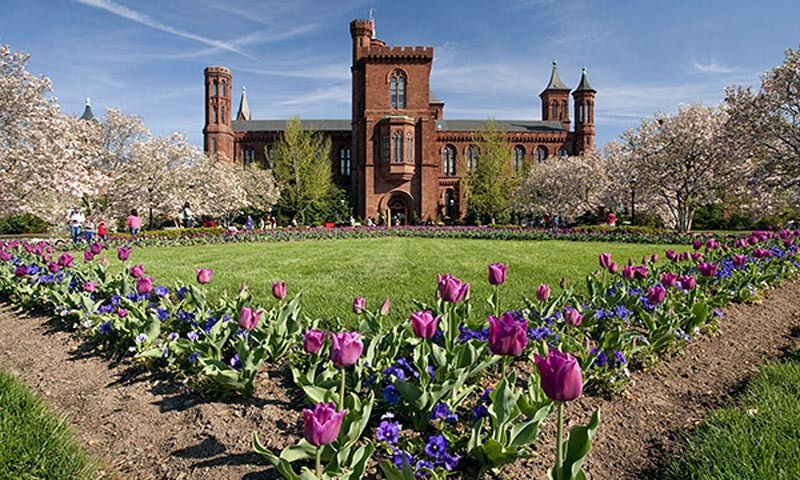 It sits to the south of the Castle and above the underground galleries and offices of the National Museum of African Art, Arthur M. Sackler Gallery, and S. Dillon Ripley Center. The garden is named for publisher and horticultural philanthropist Enid A. Haupt. The design of the garden is a modern take on American gardens from the mid-to-late 1800s.